Flawless, VVS1, VVS2, VS1, VS2, SI1, SI2, I1 – What does it all mean? 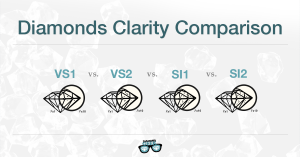 One of the most common topics that I am emailed about is regarding Diamond Clarity. 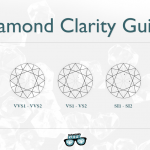 I’m always happy to answer your questions but I thought it would be beneficial to create a diamond clarity guide that will help readers understand and appreciate clarity. Clarity is one of the 4 C’s of diamonds – Clarity, Cut, Color and Carat. 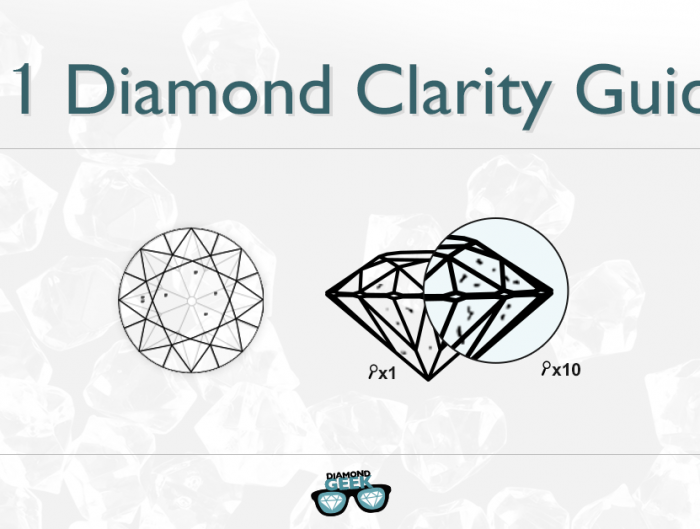 The first three make up the quality of a diamond while Carat refers to the quantity. The price and value of a diamond is based on the combination of all 4 elements. 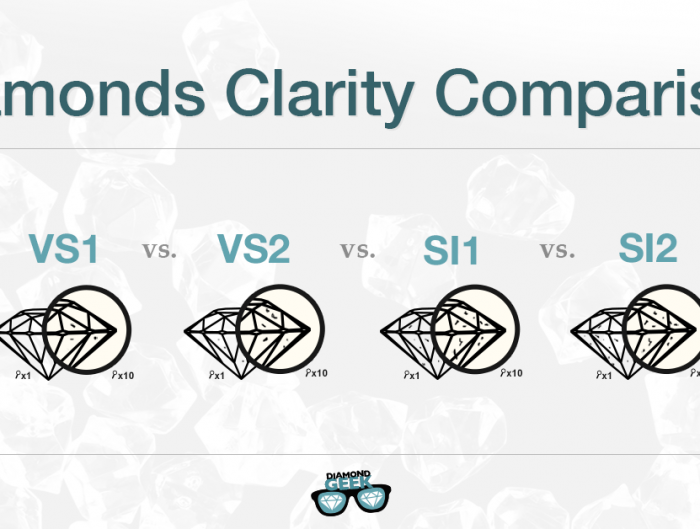 Clarity refers to how “clear” a diamond is. 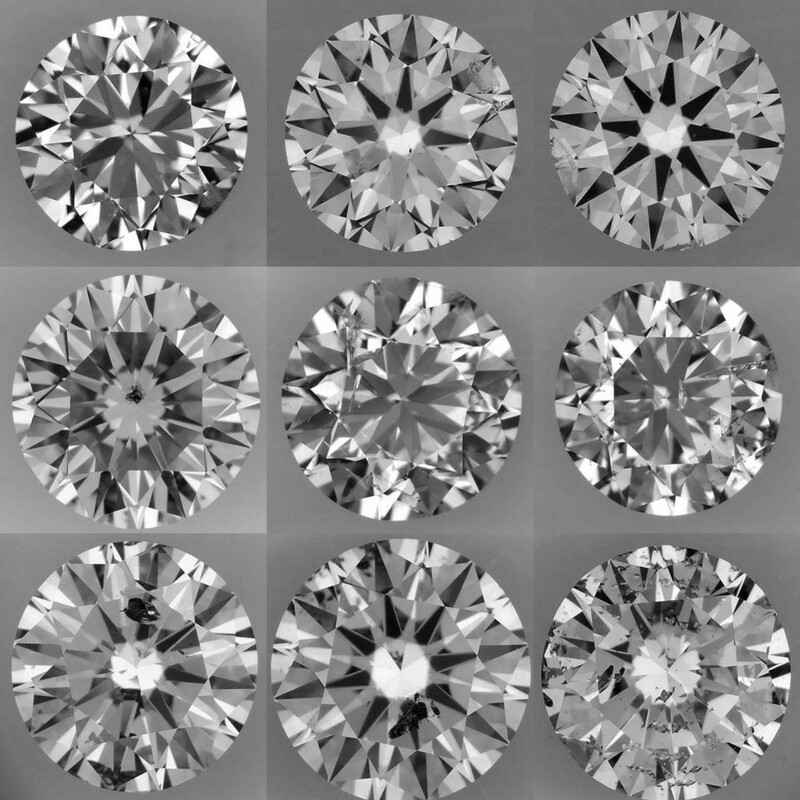 Most diamonds are created with flaws and imperfections, some of which can only be seen under a microscope while others significant enough to be spotted with the “naked” eye. The clarity rating is based on how many flaws there are and to what degree. Imperfections can appear in the form of feathers, cracks, clouds, nicks, pits, etc. The more imperfections there are in a diamond, the less value it has, although it is always my position to recommend a strong consideration of diamonds with lesser imperfections. If you need a microscope to view the flaw, does it really make much difference to most diamond wearers? In my view it shouldn’t. This is not to say that Clarity isn’t an important consideration and with a strong understanding of the different grades, you will be able to use this knowledge to find the best diamond deal for you. When observing a diamond for its clarity, gemologists focus on finding blemishes and inclusions. How many are there? How big are they? What color? What location? And, ultimately, how visible are they? Diamond experts will define these flaws as either minute, minor, noticeable or obvious. The Gemological Institute of America (GIA) is one of the world’s leading labs. The American Gem Society (AGS) and European Gemological Laboratory (EGL) have a similar grading system but use slightly different terms. 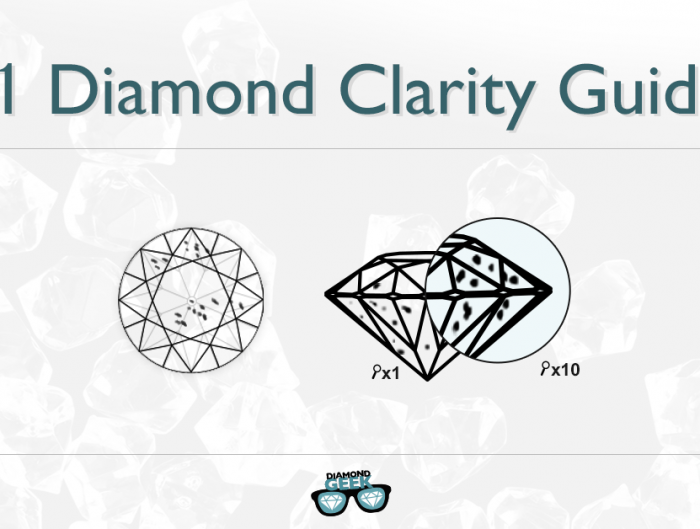 For the purposes of this guide, I am going to use GIA’s terms in this diamond clarity guide. Now let’s take a closer look at each grade. If you’re in the same room as a Flawless Diamond, consider yourself very lucky indeed. These rare diamonds are perfectly clear and free of blemishes and inclusions, even when observed under a 63x microscope. These diamonds are so scarce that most price reports do not even contain FL in their grade list. Internally Flawless diamonds are also very rare and typically have just one or two slight blemishes that are revealed under 10x magnification. These diamonds do not contain any inclusions. 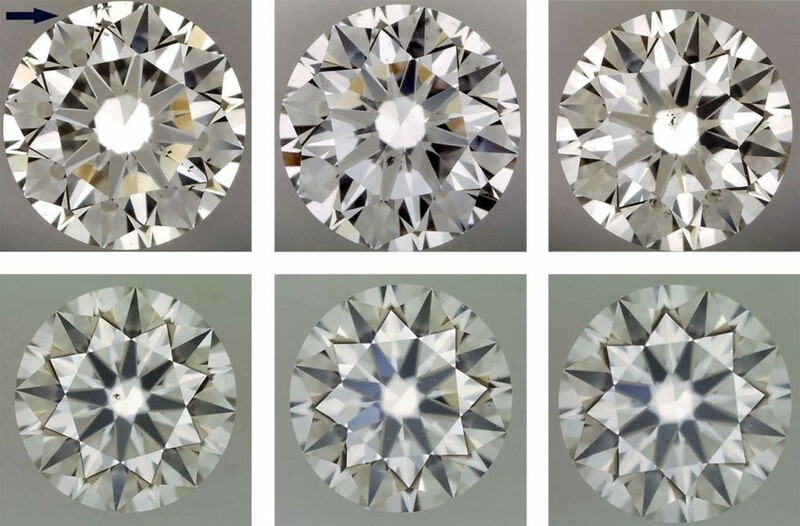 VVS grade diamonds have imperfections, but they are not easy to find. Skilled graders using 10x magnification and looking at the diamond from different angles will sometimes find the faintest of inclusions. These minute inclusions may not even be visible from the face-up position through the crown but might be when viewed through the pavilion. VVS is broken up into two categories: VVS1 and VVS1, with the latter having marginally easier to find flaws. However, both grades indicate that the diamond’s flaws are almost negligible. Below is an example of a VVS clarity diamond. On the right, you will see that a small feather (at 8.30 clockwise) has been spotted. The flaw is invisible to the “naked” eye. Now we are getting to diamonds that mere mortals can actually afford. VS diamonds are perfect to the “naked” eye, however under a 10x loupe a skillful eye will be able to detect, after some work, a few inclusions. VS is also divided into two categories: VS1 and VS2, with the latter having slightly easier to spot flaws. SI graded diamonds are the most purchased and are easily found on the market. These diamonds are the border between rare and common. Some Slightly Included diamonds are considered “eye-clean”, where no defect can be spotted with the “naked” eye. These diamonds can offer great value for consumers. SI is divided into two categories: SI1 and SI2, with the latter having inclusions that can be seen with the “naked” eye. The European Gem Laboratory (EGL) includes an extra SI3 grade to its report. I believe the best value can be found in the VS and SI grades. 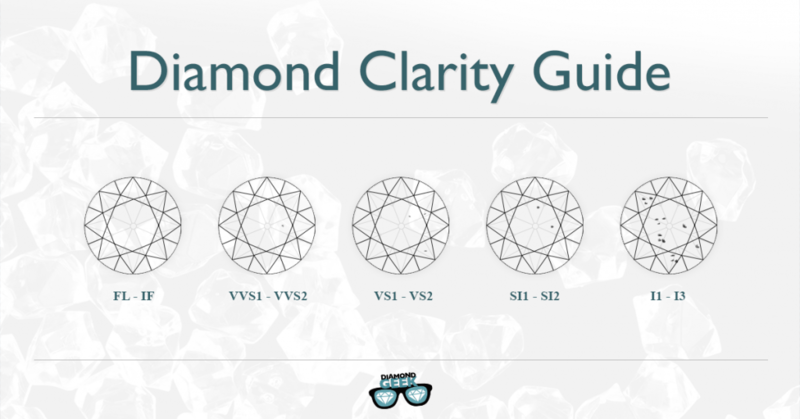 Be sure to take a look at my Buyer’s Guide to VS and SI Diamonds. When inspecting an Included diamond, you can leave the loupe behind. These diamonds display obvious to very obvious inclusions, which are visible to the “naked” eye. Included grades are further broken into three categories: I1, I2 and I3. 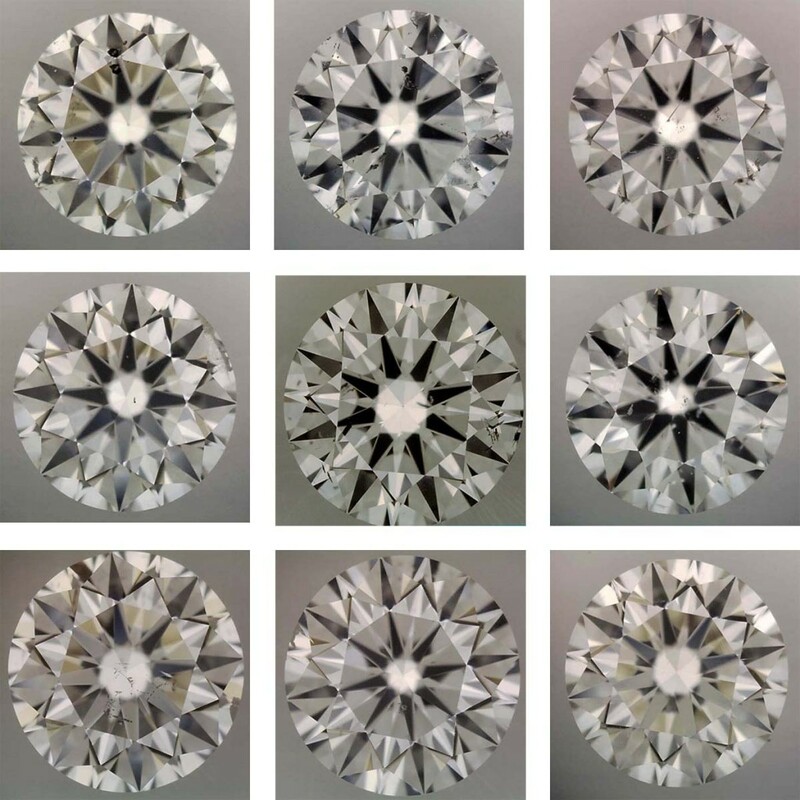 I1 stones have visible inclusions that do not hinder the overall brilliance of the diamond. The other two grades have bigger or darker imperfections that can also be more numerous. These inclusions can obstruct the return of light, making the diamond dim and less visually appealing. Inclusions in I2 and I3 graded diamonds can also threaten the diamond’s structure as well as its durability. Included diamonds can have their defects hidden through Clarity Enhancement, which can be a great option for buyers on a tight budget. To learn more about Clarity Enhancement, be sure to view my Guide to Clarity Enhancement. Now that you understand the different grades, it’s time to put your new knowledge into action. 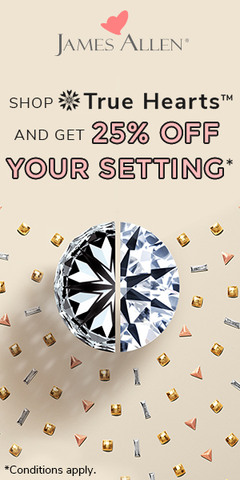 Below are my seven shopping tips for getting the best diamond clarity results. Be sure to ask the vendor about the clarity of the diamond that you’re interested in. As a customer it is your right to know the condition of the diamond. Reputable vendors will reveal whether diamonds have undergone enhancement. Know your diamond before you reach for your wallet. Ask for certified diamonds. GIA and AGS certifications have a standard grade that you can trust in. EGL certificates are also good, although the grading is more elaborate. Study the diamond yourself. You may not be as skilled as a professional grader but it is a skill you can learn. If you, a common guy, can see imperfections under a 10x loupe then that tells you a lot about the severity of the flaws. 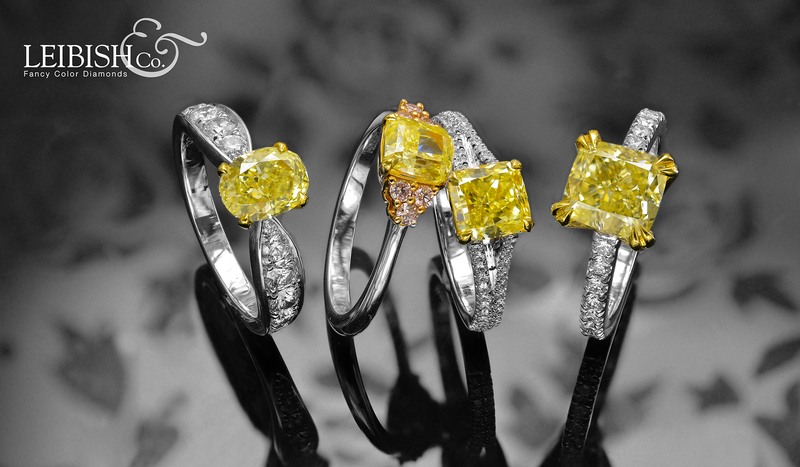 There are plenty of great online shops but make sure that they offer a true (not a sample) photo of each diamond on offer. For online diamond buying that you can trust I highly recommend James Allen, Brian Gavin and White Flash. Ask the shopkeeper to clean the diamond before you view it. You don’t want to misinterpret dust as an inclusion. Have a clear idea of your budget and your needs before you begin searching. What kind of imperfections are acceptable and at what price? Nobody can answer that but you. There is a HUGE price difference between one grading group and the next. However, most experienced jewelers will struggle to see the difference in clarity between VS and VVS for example. So it makes perfect sense to choose a lower-graded diamond (at a better price point) and invest the savings into a better cut grade. 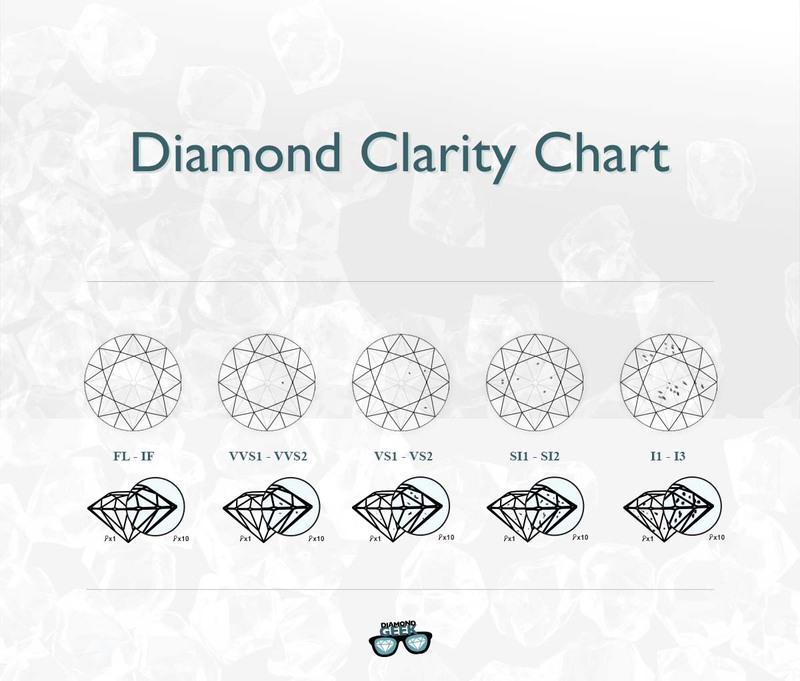 There you have it, an overview to diamond clarity that will put you in a good position to work out what you should be looking for and how to ensure you find what you want. The diamond industry can seem very intimidating to outsiders but if you do your homework and embrace learning, you can hone your skills and make fantastic purchasing decisions. 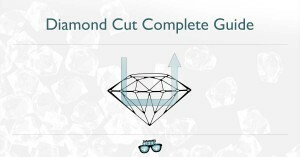 As always, stay tuned for more diamond guides and if you have any questions, don’t hesitate to send them my way.